Steve Jobs' death caused an outpouring of support. February 12, 2012: Months after his untimely death, Steve Jobs is honored with a Special Merit Grammy Award in recognition of his contributions to the field of music with the iPod and iTunes Music Store. Maybe the price on that Apple Watch Series 4 isn't so steep. Tony Fadell invented the iPod and hundreds of millions of people bought one. But he can’t expect those kinds of sales with his latest creation – a watch costing $48,800. 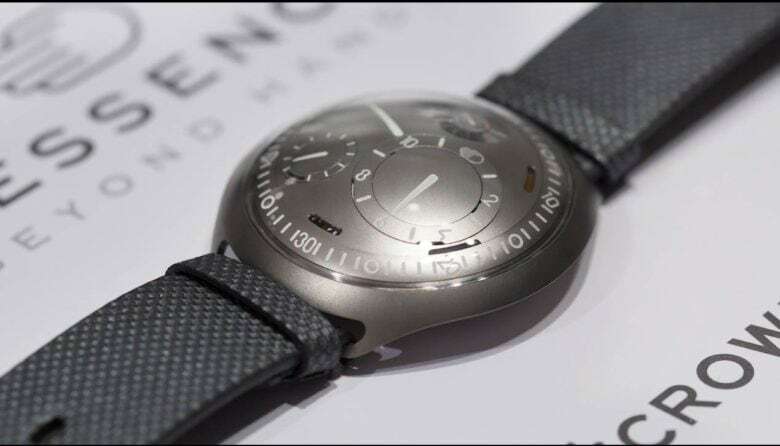 The Ressence Type 2 has a relatively modest price tag in the luxury watch space. A brand like Patek Phillipe can fetch a couple hundred thousand dollars just for a used timepiece. The iPod was kind of a big deal in 2005. January 12, 2005: Apple reports record earnings for the preceding three months, with holiday sales of the iPod and demand for the latest iBook giving the company a four-fold increase in profits. 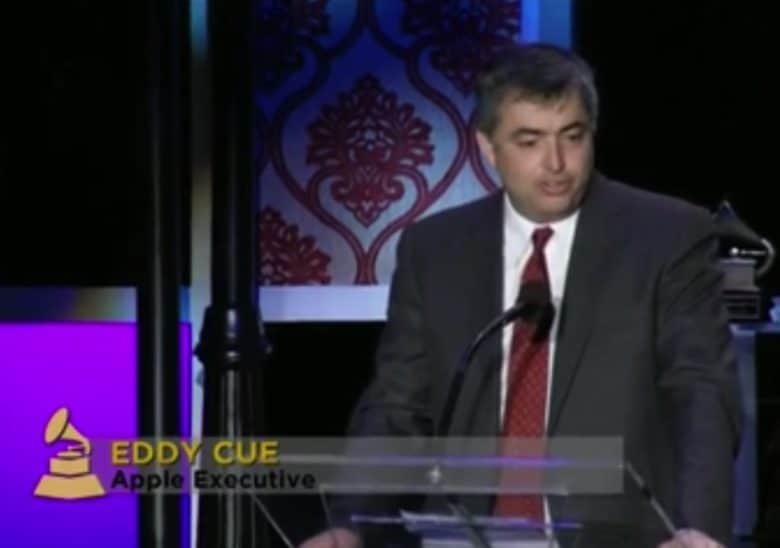 Apple brags that it has sold a total of 10 million iPods, and rightly so. 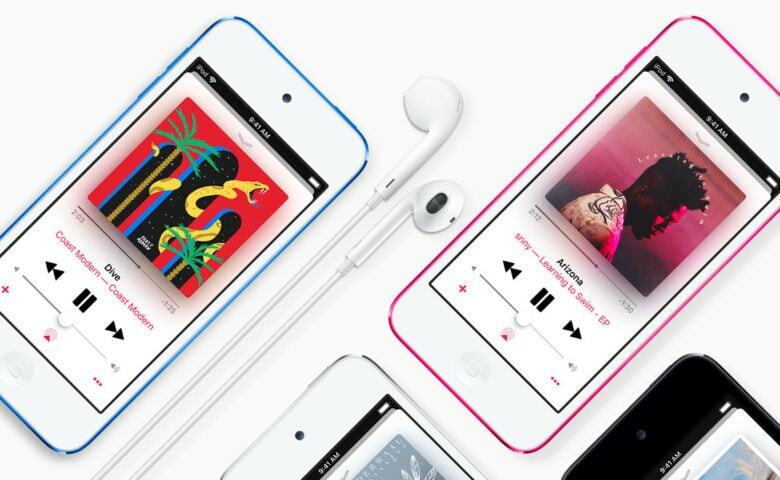 The massive popularity of the portable music player drives Apple to its highest earnings ever. How many of these Apple products have you owned? Before Apple’s magical product pipeline pops out a plethora of new goodies this year, it might be good to take a minute to appreciate the insane number of products the iPhone-maker has come out with over the last 42 years. 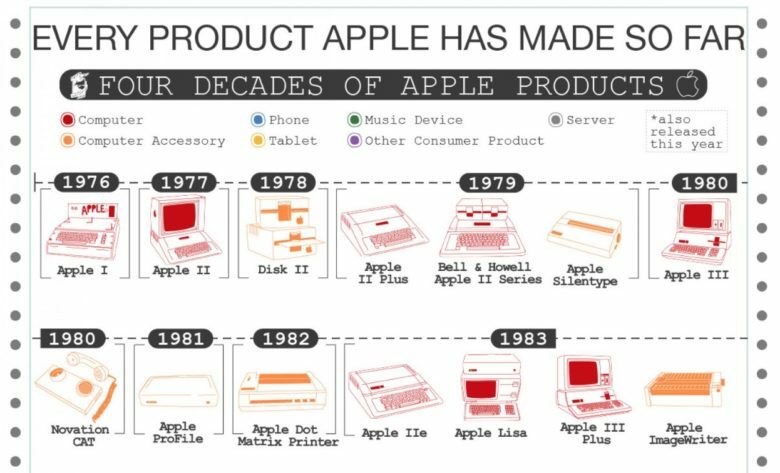 Keeping tabs on all the products Apple comes out within a single year is hard enough, but some ambitious person has created a detailed graphic that shows everything Apple has ever made. 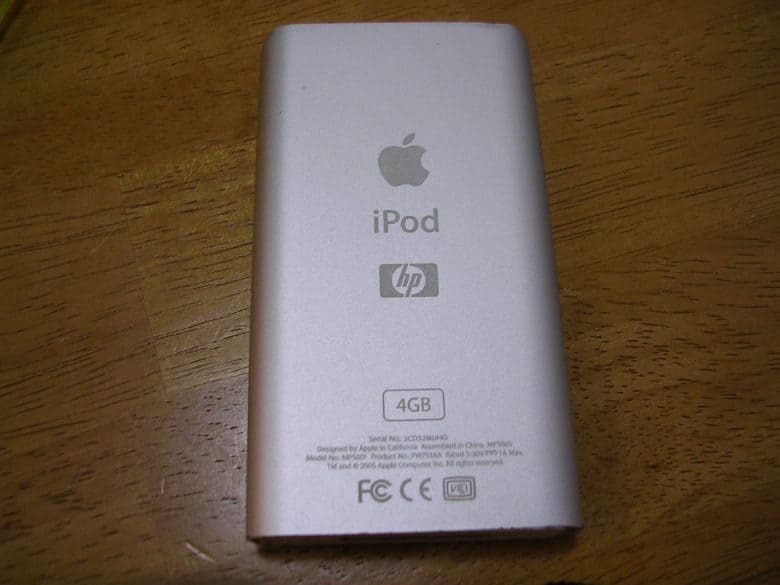 Do you remember the HP-branded iPod? January 8, 2004: The clumsily named Apple iPod + HP, a Hewlett-Packard-branded iPod, makes it debut at the Consumer Electronics Show in Las Vegas. Shown off by Hewlett-Packard CEO Carly Fiorina, the prototype device is colored blue, the color used for HP’s branding. By the time it arrives on the market later that year, however, the device is the same shade of white as the regular iPod. It doesn’t hang around for long. The iPod was once Apple's biggest seller. iPhone sales may be hitting a road block, but there are plenty of stats that offer up reasons to be optimistic about Apple. One of them? That the Apple Watch is now a much bigger business for Apple than the iPod ever was. 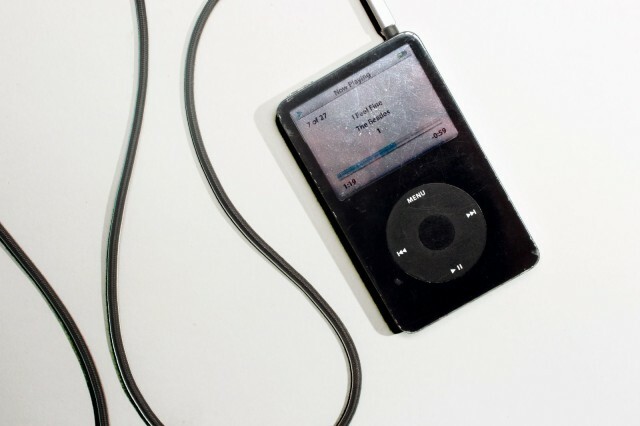 While the iPod today may be pretty much nonexistent as a revenue stream for Apple, there was a time when it was far and away the company’s top earner. iPod lovers have been waiting years for Apple to resurrect its portable music player, but a brilliant new concept case could give us the next best thing. 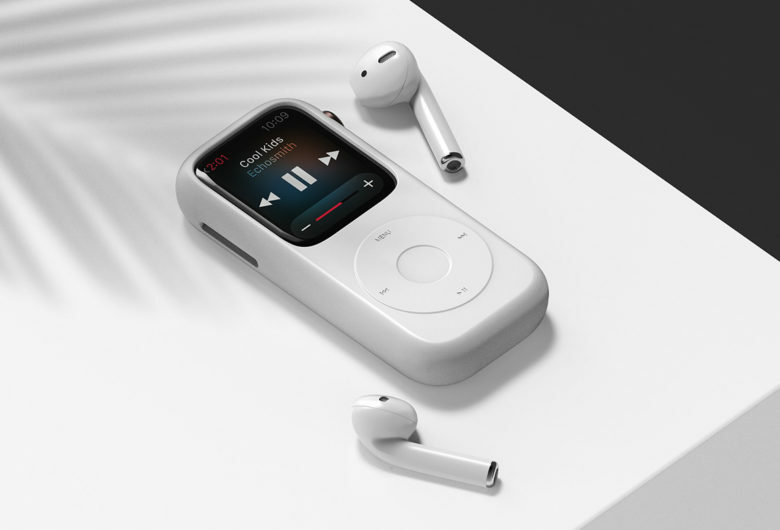 Designer Joyce Kang created a brilliant mockup of a case for Apple Watch that transforms it into a music player reminiscent of the original iPod. The tiny case even comes with a working click wheel — and still gives you access to Apple Watch’s best features!